Who is Needham Interfaith Habitat? Needham Interfaith Habitat was founded by the Needham Clergy Association and was formed in September 2002. This team has drawn upon all faith communities in Needham, and they volunteer their time to this organization. We are affiliated with the Greater Boston Chapter of Habitat for Humanity and have forged a good working relationship during our startup phase. 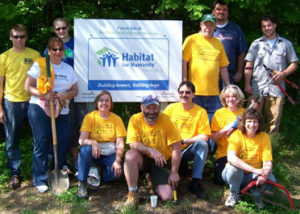 The Boston chapter of Habitat for Humanity has a large and successful track record in developing homes in the Boston area – both urban and suburban. Their expertise and guidance has been instrumental in starting our land acquisition, construction and family selection teams.